Ayesha Hameed is an artist whose work explores contemporary borders and migration, critical race theory, Walter Benjamin, and visual cultures of the Black Atlantic. Recent presentations and performances have been shown at the Institute of Contemporary Art in London, The Showroom, the Oxford Programme for the Future of Cities, the Haus der Kulturen der Welt and the Edinburgh College of Art. 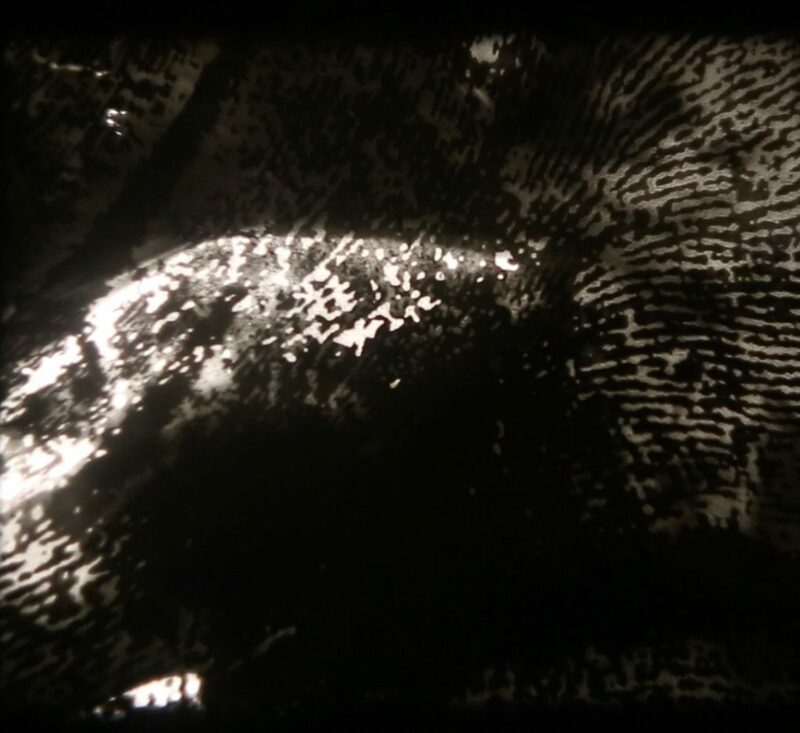 Her project A Rough History (of the destruction of fingerprints) is a film essay that looks at the coalescence of skin and data in the collection and destruction of fingerprints, examining the life and circulation of the fingerprint in a speculative history that travels from border checks to early gestures in film. It was exhibited as part of Forensic Architecture at the Haus der Kulturen der Welt, at Social Glitch at Kunstraum Niederoesterreich Vienna, at Pavilion in Leeds, and at Home Works Space Program in Beirut. She has contributed to publications including Forensis: The Architecture of Public Truth, The Sarai Reader, Savage Objects: Inhuman Political Alliances, TateETC, We Travelled The Spaceways, Unsound/Undead, Visual Cultures as Time Travel (with Henriette Gunkel), Futures and Fictions (co-edited with Simon O’Sullivan and Henriette Gunkel). She is currently the Joint Programme Leader in Fine Art and History of Art at Goldsmiths University, London, and former Research Fellow with Forensic Architecture at the Centre for Research Architecture, also at Goldsmiths.